Realize your true power at home. In-person course Toronto – watch for next dates! Make sure you are on the HouseHeal email list to get notice of upcoming events! Are you ready for life at home to feel easier? Have you been trying to deal with “stuff” at home, wishing you had enough time, energy or money to get everything done? Do you dream of getting your home organized, repaired, updated, but don’t know where to start? Maybe you clip pictures from magazines, watch HGTV or visit home décor shops just to give yourself some hope. You expected life to be easier by now, and you are starting to wonder when things will change. Things at home can get a LOT easier, really fast. a desire to change – and HouseHeal. Over the past several years I have helped hundreds of people get “unstuck” at home, and discover their natural power to create a beautiful living space that supports them in living a life that they love. I am passionate about helping YOU to love your life, beginning at home. I created HouseHeal to help people like you (and me!) apply timeless powerful spiritual to everyday living. The result is truly magical. I invite you to experience the magic of HouseHeal for yourself. Join me to experience a life-changing course based on my 2-time award-winning book HouseHeal: Transform Your Life through the Power of Home. HouseHeal teaches you how to be in action at home every day, and get things done naturally and easily. HouseHeal literally changes the way you feel about life. Your home doesn’t reflect who you are, as some people believe. Your home, and how you feel about yourself there, reflects HOW you are, and the degree to which you recognize your natural power to shape your own life experience. Think you would get things done at home if you just had more time or money? Believe it or not, time and money are never the real issues when it comes to having a beautiful “feel good” home! Really. Lack of time or money are simply reflections of your beliefs around your power to create your own life experience. Understanding your power is easier with help. Even if you have already read my book and “believe” in the HouseHeal principles, to change your thinking takes time, practice – and help. That’s why I have created HouseHeal into Practice – a richly personal and practical course to help you shift your thinking and transform your experience of home, naturally and easily. HouseHeal into Practice helps you to create a clean, beautiful, organized home, yes, but it is really about YOU feeling good about YOU and living a life that you love…..a beautiful home is the natural BONUS outcome! On a practical level HouseHeal helps you to get things organized and beautified at home, yet on a deeper personal level HouseHeal is really about being kinder to yourself, getting to know and trust what you truly want in life and seeing your amazing natural power to create it – starting at home. With HouseHeal, not only does everything in your home look and feel better, but even more important, everything in your life feels better – life feels easier, more meaningful, more manageable, more fun, more “right”. Where did HouseHeal come from? HouseHeal emerged not long after my husband left a stressful executive job and became a realtor. As Gary’s real estate business grew, I began to go with him to clients’ homes for consultations. For the first time in my life I saw how people lived in their “natural” state. To my surprise, I discovered lovely, intelligent, successful people living in various levels of chaos or “stuckness”, either oblivious or feeling bad about it and not knowing what to do. I wanted to help. Getting clients’ properties ready to sell was relatively easy, but I started to wonder about what was stopping people from creating a beautiful space for themselves? All of a sudden the “spiritual stuff” I had been studying for years (and struggling to live by) found new meaning. In a flash I saw the powerful connection between what’s in people’s homes, and what’s in their lives. 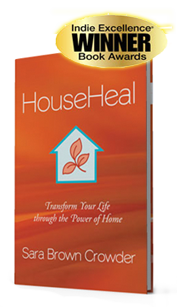 By integrating timeless universal principles with the “what to do” of every day living at home, HouseHeal has evolved to be what may well be the most powerful, practical, easy-to-understand, life-affirming, life-changing teaching in existence. I invite you to test it for yourself. If the idea of feeling dramatically better about yourself, your home, and your life in just weeks appeals to you, register now. Your home is the perfect place to begin creating a life that feels good in EVERY way. Start to feel excited knowing that your life is about to get a whole lot easier! I created the teaching I could not find – and WOW!! HouseHeal is changing lives – let it change yours. Every day I hear more stories of how HouseHeal is changing people’s lives. I am living the principles myself and reaping the benefits every day. Not only is my home more and more beautiful all the time, but my marriage is stronger and more loving, wonderful new people are coming into my life, finances are the best ever, and life just flows. I am at times overcome by deep gratitude. Trust me, my life did not always feel this way – in fact, FAR from it. I created this life consciously, deliberately, using the principles I teach – and I work consciously each day to keep the energy flowing. “Motivational, inspirational, life-affirming and life-changing! Sara’s passion, dedication and love of the guiding principles take you to a journey of self-discovery and oneness.” S.B. 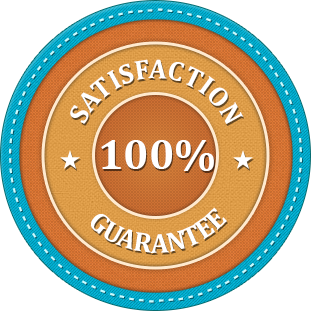 “The content of your program is both amazing and wise. I now understand what has been missing for me —the spiritual context for ‘de-cluttering’ “. K.F. “I feel that I have been given the tools to make positive changes in my life now and forever.” K.P. “I experience the change in perspective developed through your course daily.” D.S. Profound change is available to every person who chooses. If your emotions are stirring reading this, you are ready to shift. And if you are ready for change, I am ready to help you. Stop trying to do it alone. If you have read my book, you know that being open to help is a requirement for living in a beautiful love-filled home. You cannot do it alone – and honestly, why would you want to? Life is so much more fun with help! That’s why I am offering HouseHeal into Practice. Whether you are looking for deep personal change, or if you just want to get organized, you will get what you need from this course. It is taught in such a way that you get what you need to learn most, on whatever level you are ready for. You will love HouseHeal’s gentle yet powerful approach. If you are ready to step into your own power, you are in the right place. By the end of this course, you will be asking yourself “Can it really be this easy to have a home and a life that I love?” and, as you notice the changes around you, you will discover that, yes, it can. See your home in a whole new light – and feel relief! Experience what you want at home more easily than you ever dared to hope! If you are ready for major wonderful changes in your home and in your life, this course is for you! “I highly recommend the HouseHeal teaching if you are ready to make changes and have a better life. Sara has a deep understanding of the way our homes reflect how we are. She gently and compassionately guided us through the steps for change. The process that she has created is a thoughtful and perfect progression of actions that have already changed my home but also the way I feel about it and myself. Sara held a safe place for me to share my thoughts and feelings and helped me to relate them back to my home. She encouraged me and gave me hope with her kind wisdom and many ideas and techniques.” -M.P. “HouseHeal took me to a place I could not have imagined prior to taking the course. The tools given to me from each session are helpful and so positive in living all aspects of life to the fullest. Our home is our small contribution to making the bigger world a better place. I looked forward to each class with enthusiasm to share my new awareness, to listen to the others’ discoveries and to laugh and learn in a warm, loving and non-judgmental environment. Thanks so very much Sara.” – P.M.
“My experiences throughout the course were life-changing and eye-opening. Wow!! I feel like a whole new person, ready to welcome all the positive and happy things (and people) into my life that I am destined to have. I am so grateful and thankful for Sara coaching me through my challenges. My home will be a better place to live in as I move forward, accepting the changes and inner peace that come with real self-discovery.” –A.H. A signed copy of my book HouseHeal: Transform Your Life through the Power of Home. Two (2) follow-up live interactive group teleclasses to help you stay in action and deepen your practice. Register now and SAVE! Plus get these fabulous bonuses! After May 15th, registration will be $697. Claim your spot now and transform your home and your life! Take advantage of this opportunity to have personal support from me! Whether you are feeling overwhelmed or just need a boost this course is the best investment you can make in yourself, your home and your happiness. Convenient location near Pape & Danforth in Toronto – address and other details on registration. NOW COMPLETE – watch for next dates! I trust the power of this teaching so much that I am giving you a no-risk guarantee. If you attend all four classes and apply the teaching in earnest and do not notice changes within and around you at home, I will issue a 100% refund – and you can keep my book for free! Sara Brown Crowder, B.A. is an award-winning author and dynamic spiritual teacher who helps people to take charge of their lives, beginning at home. Sara’s principle-based approach helps people to recognize how issues such as clutter, mess, décor dilemmas, disrepair, discontent and stagnation at home are all linked to energy and cannot be resolved by action alone. Sara’s powerful and inspiring teaching HouseHeal: Transform Your Life through the Power of Home opens people up to whole new world of awareness, showing them the powerful connection between what’s in their homes and what’s in their lives, and what they can do about it. Sara’s down-to-earth and practical style makes things fun and easy to understand – and brings immediate tangible results. With over 25 years of study in the field of personal growth and healing, Sara made the perfect connection between the spiritual and the practical while preparing homes for sale with her husband, realtor Gary Crowder of ReMax Hallmark Realty Ltd in Toronto. Sara is passionate about people finding their own inner strength and guidance to bring more joy and ease into their lives; she has spoken at major conferences including the Professional Organizers of Canada. 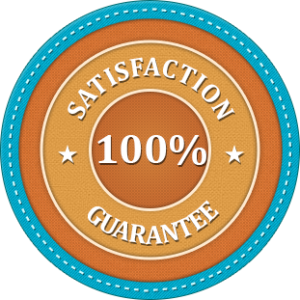 Legal Disclaimer: Results will vary from person to person based on individual readiness and commitment.